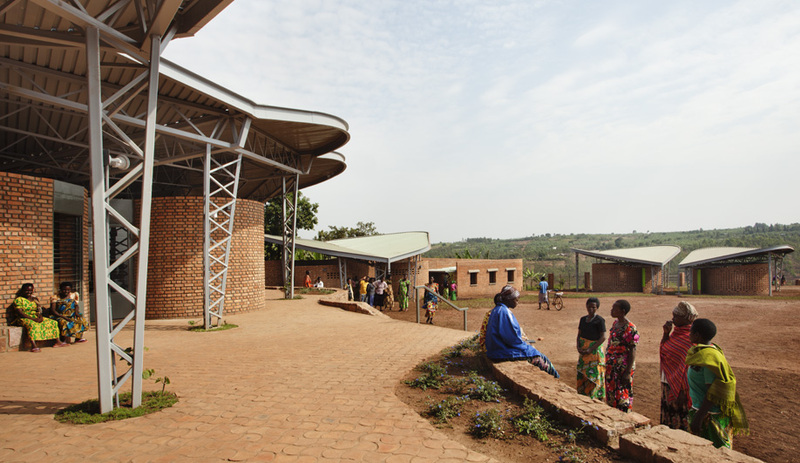 Sharon Davis Design's Women's Opportunity Center in Kigali, Rwanda. Photo by Elizabeth Felicella. Image courtesy of Sharon Davis Design. 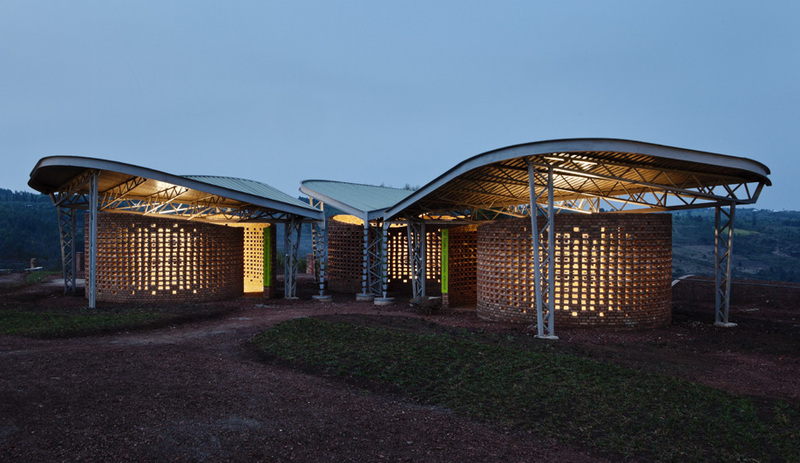 Architect Sharon Davis’s striking building and market in Kigali was constructed with 450,000 clay bricks handcrafted by the women who will use the site. Nearly two decades since the Rwandan genocide, the country is making concerted efforts to improve the lives of women, their families and the surrounding communities. 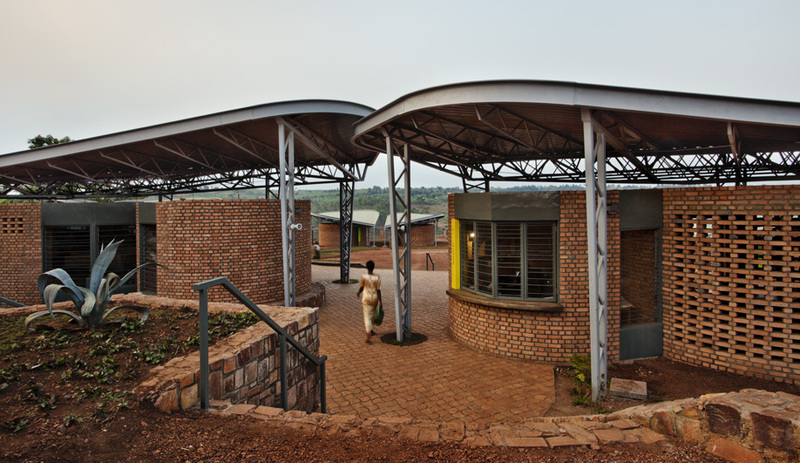 In the Kayonza district just outside of the capital, architect Sharon Davis has designed – pro bono – a sustainable, multi-use facility for women, made by women. “It was complete chance and serendipity,” Davis says. 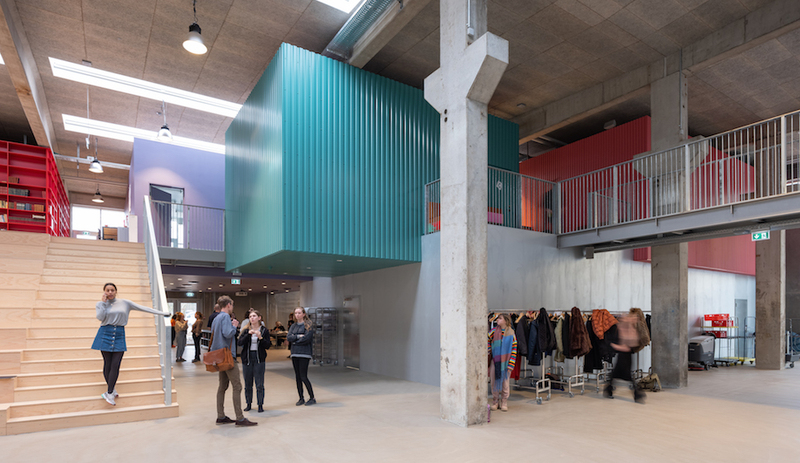 She landed the project through a colleague who sits on the board of Women for Women International, a non-profit dedicated to helping female survivors of war, which specifically requested a female architect for the project. 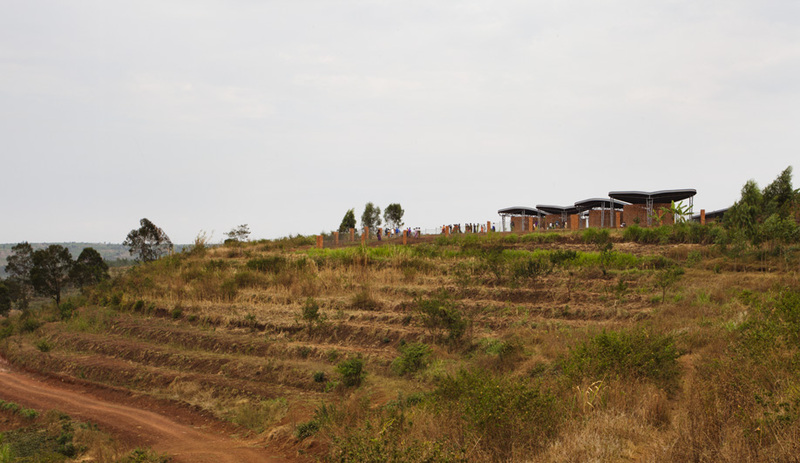 Davis’s firm conducted intense research after performing an on-the-ground assessment of the site, which is located on steeply sloped land acquired from the Rwandan government. Instead of proposing a single building, the team pitched a village of pavilions spread out over 1,858 square metres. “I had to consider that women would be coming from a one-bedroom cottage to a place populated with 300 women at once. It needed to be a place where they would feel welcome,” she says. 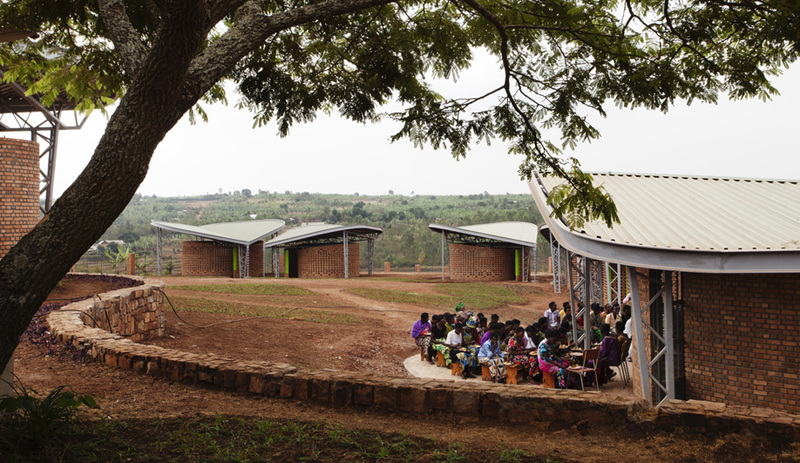 She combed through books and research on Rwandan architecture – but turned up empty. So she and her team visited a village in the south dotted with woven pavilions. Deeply moved by the intimate spaces, Davis sought to incorporate the concept into her plans. It was the project’s donor (an unnamed artist and filmmaker) who suggested bricks as the principal “woven” material. Employing local women, the team made the nearly half a million building blocks that would form the walls of the various classrooms, and the communal kitchen and administration buildings. 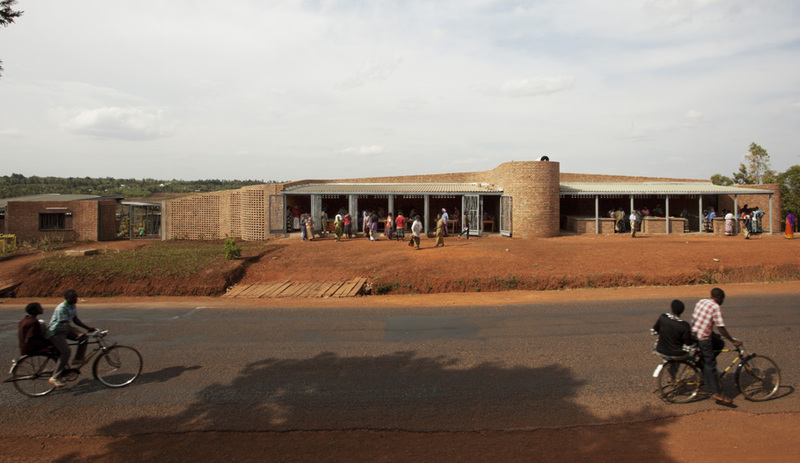 “A contractor told me ‘They’re the best handmade bricks in East Africa,’,” says Davis. 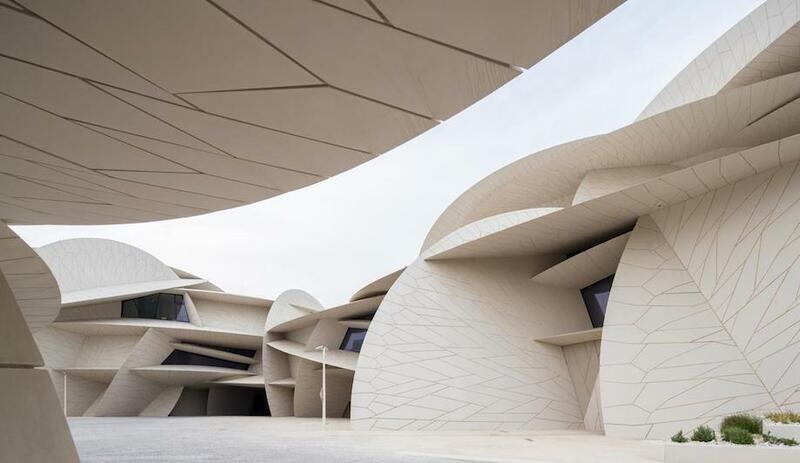 The curved structures they built from the ground up honour the centre’s teaching circles, typically made up of 20 women who participate in employment training courses and discussions on sensitive topics. “The shape enhances the bonding experience,” says Davis. 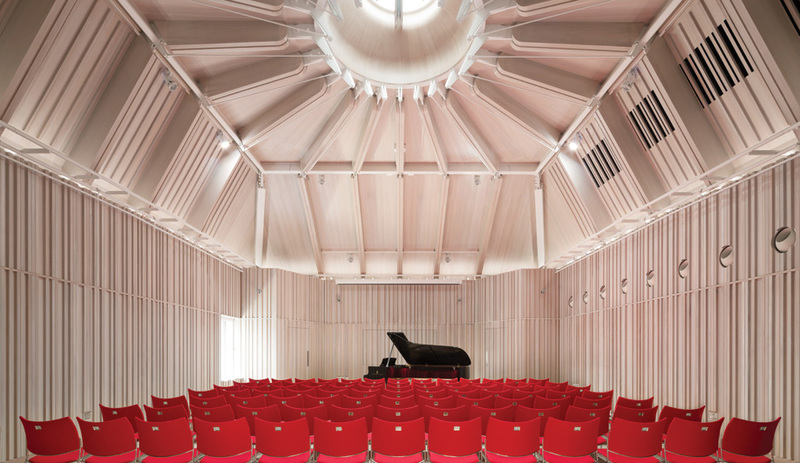 These womblike pavilions are without windows and doors, relying on the seemingly interlaced brickwork to bring in light and air. The bricks are grouted in the administration buildings (a threshold of safety and security), which are finished with doors and windows. 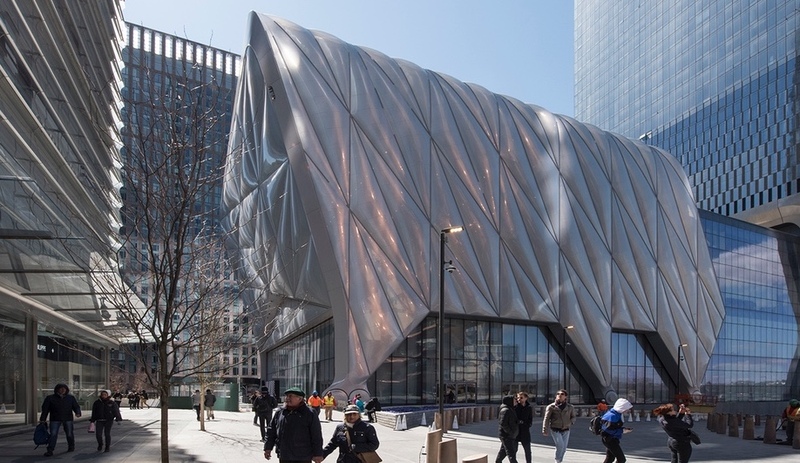 With the help of structural and water engineers, Davis’ team capped the structures with egg-shaped parasols in corrugated metal. Inexpensive and readily available, the material also proved to be the cleanest way to collect rainwater that could be stored and used by the 300 women who frequent the buildings over the course of a year. 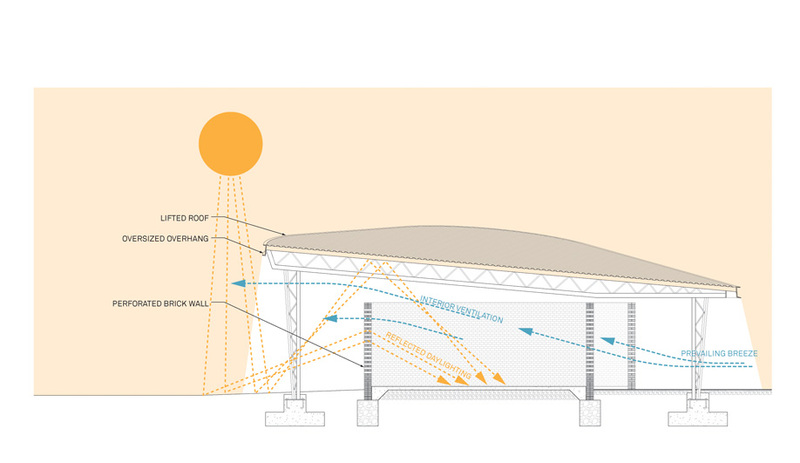 The complex also incorporates solar power generation, biogas fuel for cooking and composting toilets.